Henry Holt and Co. (BYR), 9781627797740, 40pp. On the night of a blue moon, a boy and his cat set out for a walk and find themselves on a magical adventure. Together they travel through fields of flowers, forests of towering trees, and lakes of deep dark blue. Flying through starry blue skies, they reach the blue moon. But the blue planet, Earth, calls the explorers home. Safely back in bed, the boy wonders—was it only a dream? 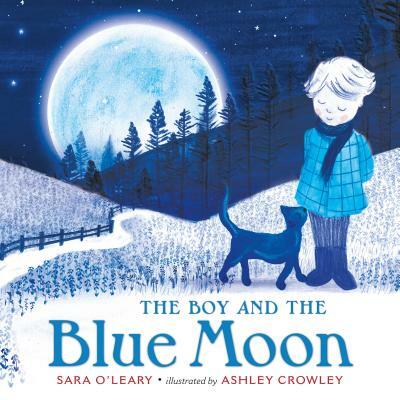 Sara O'Leary is the author of many beloved books for children, including This is Sadie, You Are One, and When You Were Small. A former police officer, Ashley Crowley found his passion in children's books. He is the author-illustrator of Officer Panda and has illustrated a number of other books for children. Ashley lives with his son, Frankie, in Suffolk, United Kingdom.